Exploring, feeling the fresh air, marveling at mother nature’s works – it doesn’t get much better than that. However, this hobby requires some special gear. The first thing that comes at mind is (and rightly so) a good backpack. That’s, at least, what most people think is the only thing required for a perfect backpacking experience. What you really need, though, is a good stove. Enjoying pretty much anything comes hard at an empty stomach, so having a good backpacking stove will mean the difference. Let’s open up our reviews with a big hitter – MSR’s Pocket Rocket 2. If you’re really into backpacking, hiking or mountaineering, you’ve probably noticed this brand already. 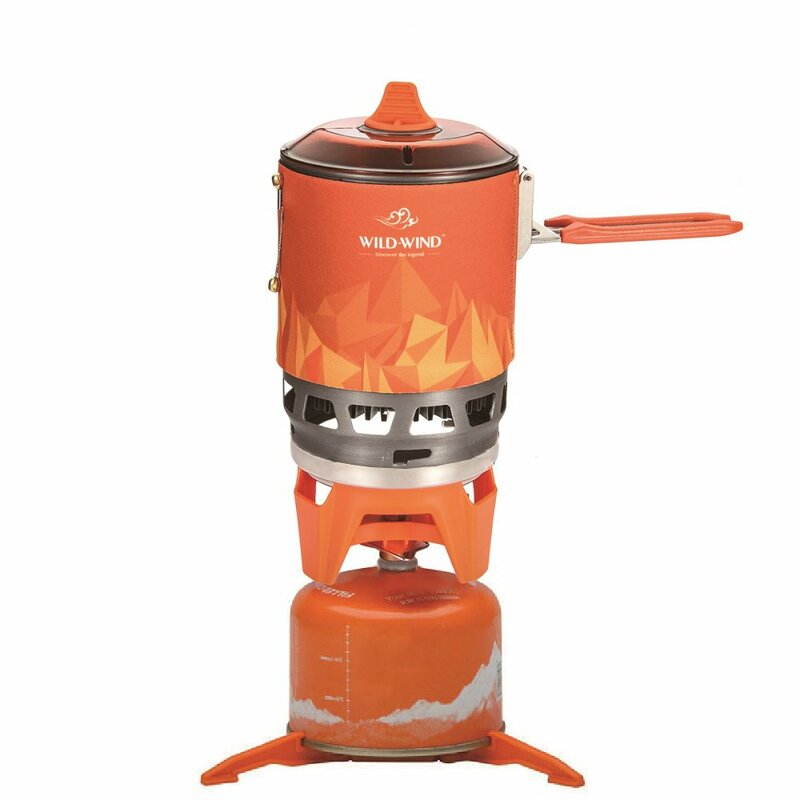 Some of their finest stoves are the WindBurner and Whisperlite, but let’s focus on the Pocket Rocket for the time being. Basically, this is a lightweight, relatively cheap stove, as well as one of the best-sellers on numerous online marketplaces. It weighs only 2,6 ounces and features a folding canister that makes it very compact. It doesn’t require any priming or preheating, which means that you’ll be able to use it straight away. The downside of MSR’s PocketRocket 2 is that the fuel canister comes separately – you’ll basically get the heating system which is, sadly, virtually useless standalone. On the upside, this stove is compatible with most isobutene propane fuel canisters. What’s best about Pocket Rocket 2? Well its burner is among the finest in the price range. Reliable and dependable, Pocket Rocket’s burner can boil or simmer your water in mere minutes. To top it all, it’s not even too expensive. Surely enough, there are more affordable models, but this stove is among the cheapest in our review. Next up on the menu is Jetboil’s Flash cooking system. We’ve labelled it as one of the best heavy-duty stoves as it’s practically ideal for high performance heating and boiling jobs. Even though you’d perceive it as a compact stove at first, it actually features a FluxRing cup which can take up an entire litre of liquid. What’s more, it’s made of highly sturdy stainless steel materials, making it impervious to most kinds of damage. One of the best things about Jetboil’s flash cooking system is its practicality. Namely, you’ll be able to start (and finish) the entire process with but a click of a button. On top of that, there are a couple of convenient features which further simplify the (already plain) method of operation. Such are the heat indicator which changes the color as the water starts to simmer and boil, as well as the drink-through lid. Now, let’s discuss its price a bit. As you can see, this is a great stove meant for heavy duty boiling and heating. It’s only normal that it costs a little bit more than, for example our previous pick MSR Pocket Rocket 2. Regardless, it packs quite a punch for the money. Just after we saw what Pocket Rocket can do, we’re taking a gander at yet another remarkable stove from MSR – the WindBurner. As the name implies, this is one of our top picks in the “windproof” department, which means that it’s absolutely ideal for backpackers, trekkers, mountaineers, and people who love enjoying the outdoors in general. This stove is a compact all in one solution for virtually every possible scenario. It features a powerful burner which promises extra quick boil times with the quality heat exchanger feature. It’s decently compact, although Jetboil’s flash cooking system is just a bit smaller. 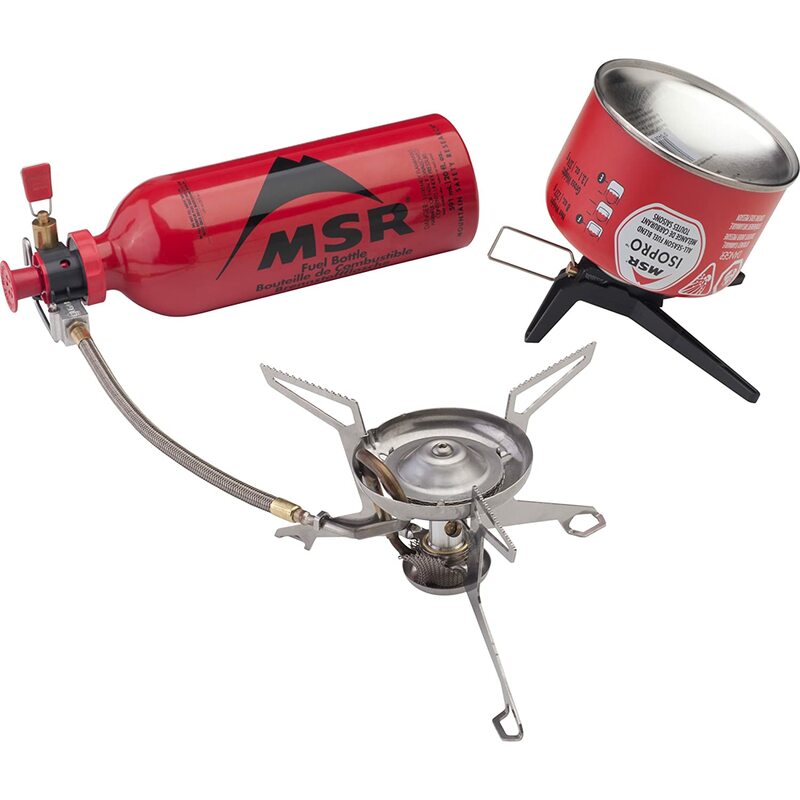 We’ve already mentioned that the only flaw of MSR’s Pocket Rocket is that the fuel canister comes separately. Such is the case with WindBurner as well, but that’s not the most pressing issue, to be fair. Namely, this model is nearly three times more expensive than the Pocket Rocket. On the upside, the absolute windproof performance of this stove ensures safe and easy cooking and boiling in practically all weather conditions. Though it does cost quite a bit, it’s practical, it’s great, and it’s one of the best windproof stoves you’re going to find for the buck. After compact and windproof stoves we’ve decided to spice things up a bit. The title of the “best simmer control stove” goes to Soto’s WindMaster combo stove. In essence, this is a plain burner mechanism which features four adjustable flex supports. It can take on smaller and medium-sized pots with ease, but using a larger pot shouldn’t be too big of a deal. Its resistance to wind is impeccable, perhaps as good as that of MSR’s WindBurner. Safe to say, the flame will keep on burning even in the harshest conditions, but to contrast the two stoves we mentioned, the Soto WindMaster offers the same qualities, yet at a lower price. There are, however, a couple of hiccups that should not be neglected. Firstly, you’ll need to be extra careful (and patient) while you assemble the stove. Slight lapses of concentration could easily result in a leak, as the construction is not too durable. Secondly, the same can be said for the complementary carry bag. On the upside, the bag is free, though. We are looking at one of the best folding stove models available for the buck – Jetboil’s MiniMo cooking system will be your best buddy during your backpacking trips. It’s available in several colour variations and features specially designed regulator which provides outstanding simmer control. You’ll be able to cook and eat straight from it, as it comes supplied with convenient metal handles. What’s more, the entire cooking process can be started with a simple push of a button. Be it as it may, that’s not the reason why we’re recommending this fine backpacking stove to you. Namely, this is one of the best folding stoves – it’s very compact and petite in size. The only real downside is that it costs quite a lot. It’s pretty durable altogether, the boiling time is excellent, and the insulating lid will keep your meals warm for quite some time. The good things about MiniMo are great simmer control, fast boil time, and the width of the pot section. The bad things are that this backpacking stove isn’t as easy to use as the models we’ve previously reviewed and that it comes at a rather expensive price. Next up is our “best value” pick, the Wild-Wind Star X3 outdoor cooking system. This is an ultralight backpacking stove which boasts exceptional burn efficiency, rapid boil time, and several complementary features. You’ll get a pot support, as well as a convenient stabilizer completely free of charge. The cooking system is comprised of a stove base, a pot outfitted with a heat exchanger, a neat little TPE cover, a fabric sleeve, and the aforementioned gratis features (pot support, stabilizer). Now, we did mention that this stove boils water pretty fast, but just how quick is it? Even though the answer mainly depends on the quantity of the water you intend to use, in an average case you will be able to switch from simmer to boil in under two minutes. So, with all the free stuff and benefits Wild Wind Star X3 offers, are there any things that it lacks? The only thing that leaves room for improvement is the build material – aluminium. As the story goes, this material is quite flimsy, although it does contribute to the lightweight quality of this stove. In essence, the reason why we’ve dubbed the Star X3 as the “best value” stove is because it isn’t expensive, it does the job it’s supposed to, and it offers convenient (and completely free) features. We’ve seen what good compact stoves are – the Pocket Rocket 2 is awesome, WindBurner (though it isn’t petite per se) is quite transportable, and the WindMaster from Soto are all fine examples of such. 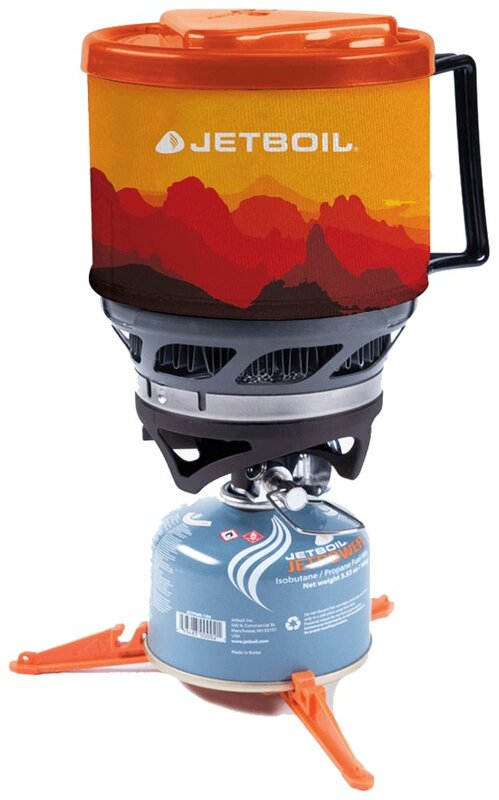 Some of these stoves are really small in design, but even so, they can’t really compete with Snow Peak’s LiteMax stove in this field of performance. If you are looking for a premium-quality compact stove, look no further. Surprisingly enough, the LiteMax is pretty lightweight even though it’s made of incredibly sturdy titanium and aluminium materials. It can withstand even the lowest of temperatures, making it a suitable candidate for all kinds of backpacking trips, hiking, and even mountaineering. The bad thing is that it isn’t compatible with most conventional fuel tanks – it only accepts GigaPower fuel (from the same brand) which is sold separately. On a brighter note, you’ll get a complementary storage bag for free. Some of the models we’ve reviewed so far are complex, some are not so much, but the fact is that they’re all incredibly valuable for the money. 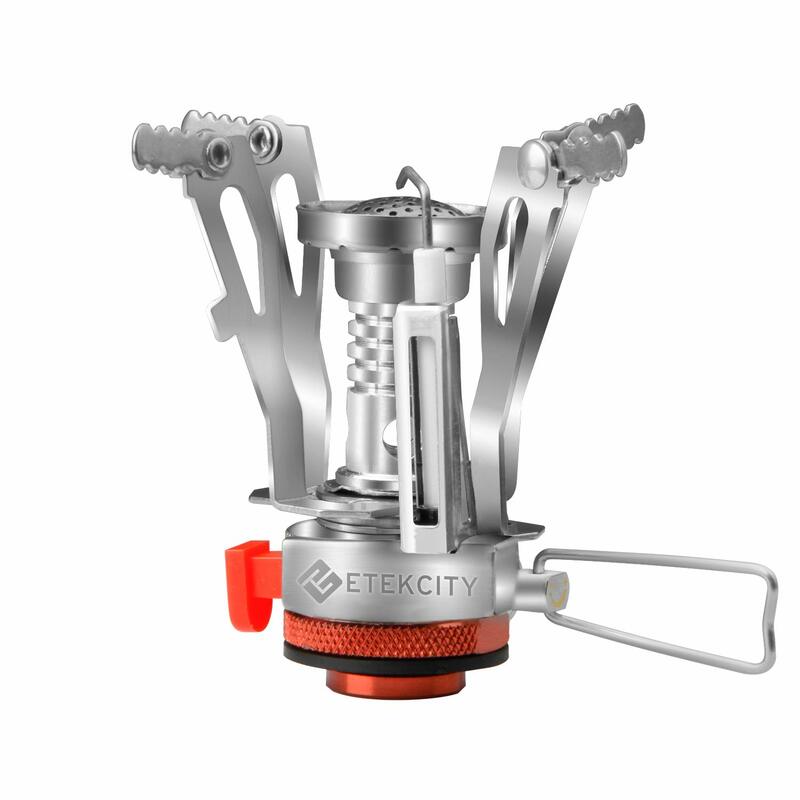 Now, we’ve figured that there are people who want to keep things simple, in which case we recommend Etekcity’s ultralight camping stove. The majority of the construction is comprised of aluminium, although certain joints are made of quality stainless steel. It’s quite durable for a budget backpacking stove, to be fair. Speaking of which, this is also the most affordable, as well as the simplest backpacking stove we managed to dig up on the market. Its design is labelled as “collapsible”, which basically means “a step beyond compact”. 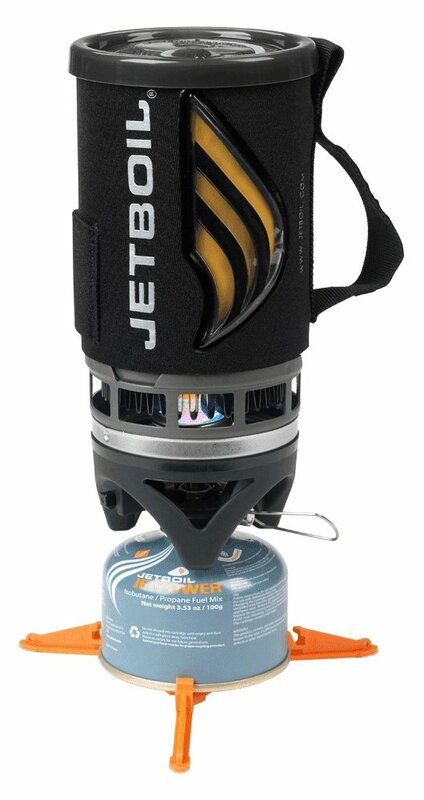 In truth, it’s perfect for light camping or light backpacking, which means that it’s not as versatile as, for instance, Jetboil Flash cooking system. There are no exceptional features onboard, it doesn’t require any priming or preheating, and what’s best about it – it comes at a ridiculously cheap price. If you’re on a tight budget and after a simple backpacking solution, here’s the stove you’re after. A couple of MSR backpacking stoves have already made their appearance in our review, but even so we felt like we need to mention one more – the Whisperlite. This is the lightest stove ever made by this brand, and it’s safe to say that it’s also one of the most compact ones. 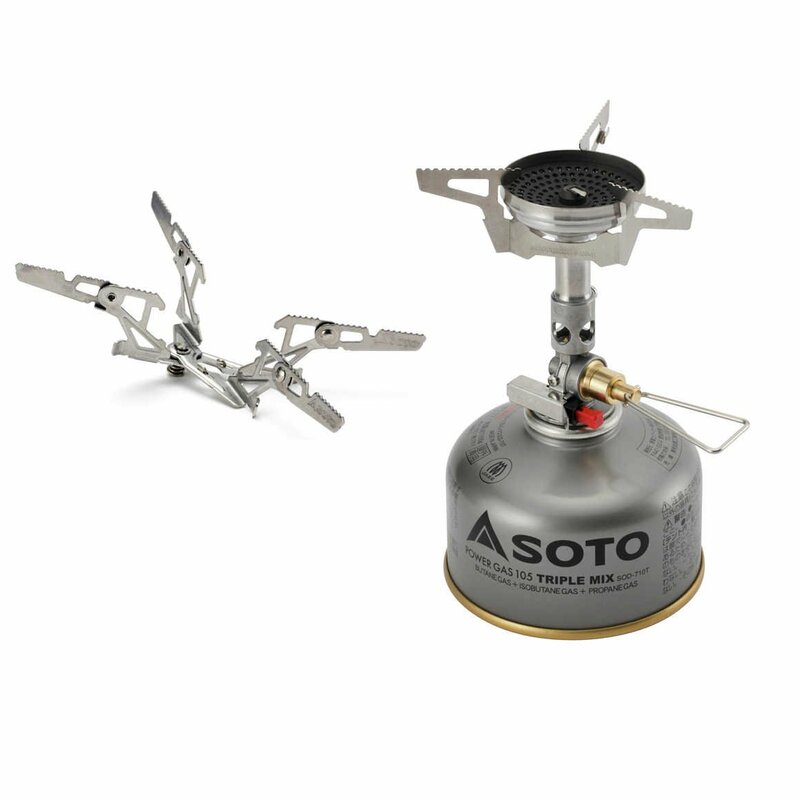 One of the biggest advantages it offers is the self-cleaning jet technology – it ensures easy and quick field maintenance, which means that this model is among the most reliable backpacking stove you’ll find for the money. Its performance is undisputed and unparalleled due to AirControl technology. This means that Whisperlite offers zero compromise when it comes to performance. It’s compatible with virtually all forms of fuels and flammable gasses. Lastly, you’ll be richer for a fuel pump, a windscreen, a heat reflector, and several small-part kits if you opt for this one, as it’s laden with a plethora of gratis features. Yeah, it’s true that it does cost quite a bit, but MSR’s stoves are famous for huge price-to-value ratios. 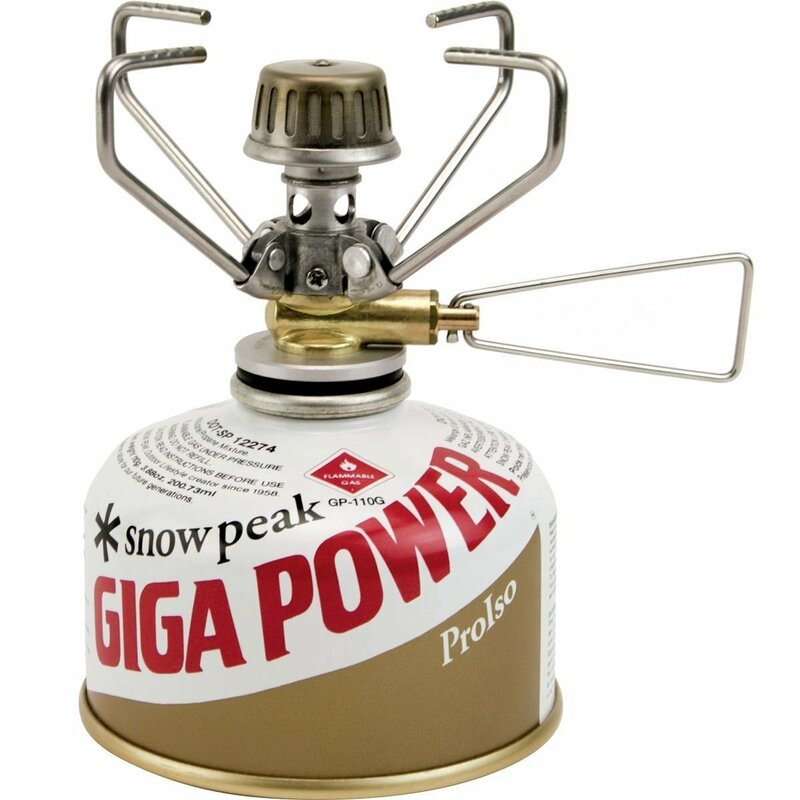 Let’s wrap it up with the best beginner backpacking stove – Snow Peak’s Giga Power. This particular model is pretty famous among backpacking enthusiasts, as it offers a lot and requires so very little. Just like most stoves we’ve reviewed, this one is also pretty compact – the collapsible-leg design ensures you’ll be able to fit it in any smaller carry case. 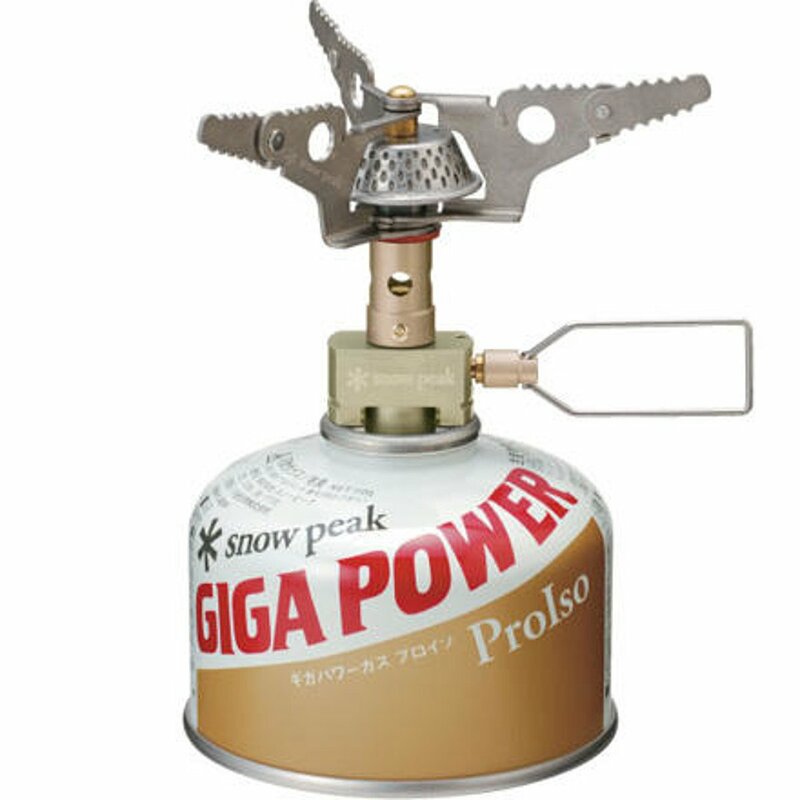 The flame control of Giga Power is excellent, even though it’s only a budget stove. It works equally well when it comes to simmering. What makes it perfect for beginners is the fact that it doesn’t come supplied with extraordinary, special features. It’s as plain as can be, and as easy to use as possible. To top it all, it’s pretty inexpensive, to say the very least. Let’s face it – there are so many backpacking stoves out there that it’s pretty hard to weed out bad ones in a day’s work. The job’s even more difficult if you’re not exactly familiar with the things that make a good stove. That’s where we come in. This section is dedicated to explaining (in the most straightforward way possible) all the things you should keep in mind while searching for your backpacking stove. The first thing you should consider is the stove’s size. Since most backpackers carry a lot of stuff in their pack, the last thing you need is an oversized stove which will take up most of the room. Now, apply the same logic to the weight – even though a stove might be compact in design, certain materials are heavier than others (for example, titanium beats aluminium or steel), and again you don’t want a heavy stove that will drag you down. 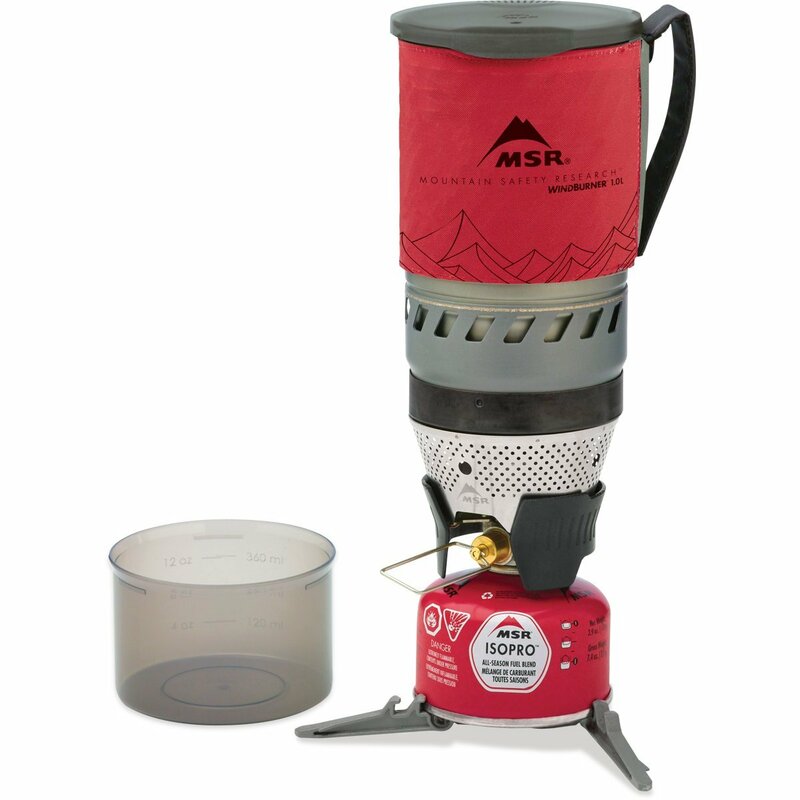 A good example of a lightweight stove is MSR’s Whisperlite. Funny that even its name is enough to deduce that it doesn’t weigh much – it’s as “light as a whisper”. Before you begin searching for a backpacking stove, ask yourself the following question – “what chores are waiting to be done when I start my backpacking trip?”. Some backpackers have more time to spare on cooking, others just need to boil some hot water as soon as possible. The first stove in our review MSR’s Pocket Rocket 2 has one of the best burners ever built. It can boil 1L of water in mere 3 minutes, so if you have a lot of work on your hands, a stove with an efficient burner might do the trick. Alternatively, if you have enough time to spare, this “parameter” is not of vital importance. Backpacking stoves require maintenance, and that’s sort of a rule. These contraptions are delicate, and you don’t really want to play with fire that badly, now, do you? Maintenance is usually performed at home – the place where you have the necessary tools to do the job leisurely and comfortably. Now, field maintenance regards the situation where something’s gone awry while you’re outdoors. Certain cooking stoves have “rigid” construction, so the best thing you can do is take extra care while handling them. 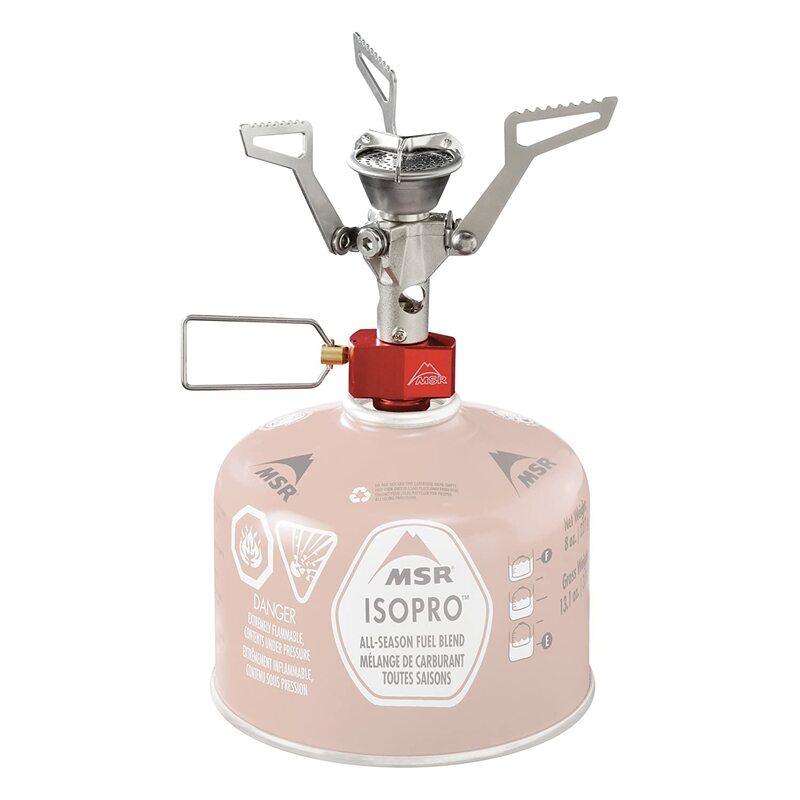 Other models, such as MSR’s whisperlite, are field maintainable – this particular stove features the self-cleaning jet technology which substantially simplifies the entire process. Price is most definitely one of the key factors that determine the overall value of, well, pretty much anything. There are backpacking stoves which are available for as much as ten bucks, but there are also models that cost well above $100. The reason for such diversity throughout the price point categories is obvious – cheaper models are either less versatile or less reliable. For instance, Etekcity’s Ultralight camping stove is the cheapest stove in our review, and it’s only obvious that its durability can’t match the titanium construction of Snow Peak’s LiteMax. On the other hand, some folks would say that MiniMo is a bit overpriced – it is expensive, true, but it offers superior insulation, as well as one of the most straightforward methods of operation. While a stove’s performance is pretty much all you need to care about, can you say “no” to free goodies? That’s right, free is always welcome. Pay attention to cooking stove systems which offer complementary features – the Pocket Rocket gives you a carry case, Jetboil’s flash cooking system offers a free strainer, Wild-Wind Star X3 supplies you with free stabilizer and pot support, and so on. Of course, there are models that come “standalone”, so it’s up to you to decide whether the stove in question is as good as an entire system with gratis features. Decide your budget before you even begin to search for the stove but don’t be afraid to postpone the purchase if you come across a good model that costs a bit more than you wanted to invest. Some stoves are meant for specific purposes (Giga Power, for instance, is best for beginners) while other models are great in general. Each stove lacks one or more things – it falls down to you to decide how much you want to compromise. Most people would think that Soto’s WindMaster combo lacks the quality of the beautiful Windburner, but they’re equal in terms of wind resistance (to say the very least). If it breaks or stops working, you’re left without hot water for the day. You could muscle through that extra pound or two, but you’ll rip your backpack if you force a big stove among the other items you are carrying. So, is there such a thing as the perfect backpacking stove? We’ve already established that each model lags behind in this sphere of performance or the other, so a perfect stove might not exist at the time being. However, there are models that are better than others – models who have earned the right to be called “the best”. In fact, today we present to you the 10 best backpacking stoves – these models boast efficient burners, lightweight designs, compactness, they’re easy to use, and so on. Feel free to browse through our top picks, but make sure to check out the buying guide – it will make the browsing a bit easier.